You know whats the best way to reward yourself on a tiring day ? A perfect setting- Peaceful, healing and caring. Sukho Thai spa is the only place I have been going to for the past 3 years . Imagine my delight when they gifted me this treat on My Blog Anniversary ! Whats more? Today, the 5th of September, Sukho Thai is celebrating their 5th Anniversary in India and would be gratifying the guests with goodies! I can tell you with my experience with them for over 3 years- No one does it better than Sukho Thai Spa! Sound proof studio grade glass, soothing music and the sound of ticking water is what greets you into Sukho Thai – The aroma, the ambience, the greetings at the reception, all spell ‘Thailand’! 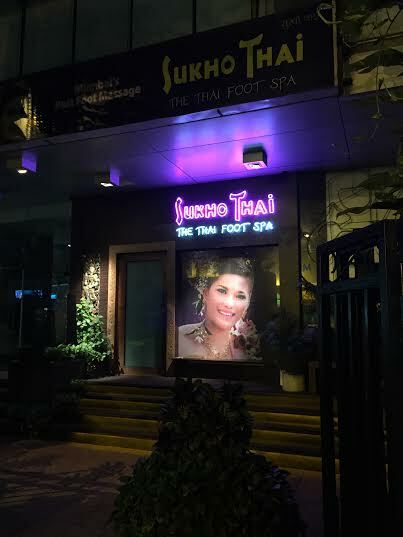 A Sukho Thai Foot massage not only pampers tired feet, it has health and emotional benefits as well. The foot is a reflection of all body organs. The pressure point applied to the related body organ actually stimulates healing chemicals that helps people feel relaxed after the therapy. Massage has a long history of therapeutic healing in Thailand. Practiced for centuries, the roots of Thai massage are traced to Indian beginnings about 2,500 years ago and it has been one of the most effective and revered forms of massage practiced all over the world. The Chinese and the Indians were believed to have greatly influenced the therapies and treatments developed in The Kingdom of Thailand. The theoretical basis of Thai massage lies in the theory of energy lines running throughout the body. Out of the 72,000 energy lines said to be in existence, the focus is on the 10 major lines called “sen”. Important acupressure points are found on these lines. Treatment for the whole body, different organs and diseases are often done by using the system of the 10 “sen”. As you can see I have tried all the therapies so far except the one with scrub. My experience was wonderful in each of these therapies! There are reclining massage chairs on which all therapies are performed. For all the massages, they start with placing your feet in a bowl of lukewarm water and wash it with their hands using soaps. A clean towel is used to wipe them and then the feet are placed on a soft stool. Massage oil with a strong eucalyptus aroma is then applied on the feet and the therapy begins. During the therapy they use stick like objects to press the pressure points on the feet. The massage also involves twisting and turning of the entire leg imitating some of the yogasanas. One becomes aware of all the parts of the feet that never existed! The mantra to get the best out of this session is to let go as the therapist applies pressure on various parts of the feet that might pain ,because its only for the good. 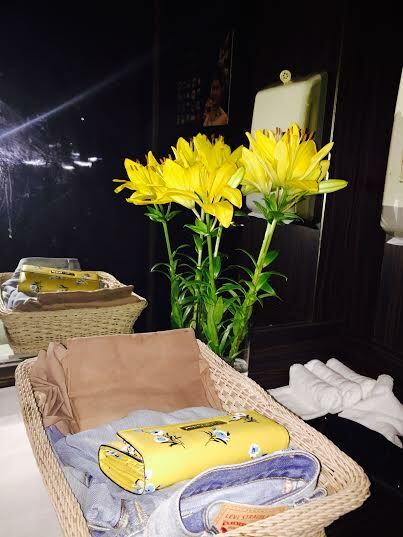 At the end , the experience makes you want to get a massage every single week! There is pin-drop silence as the therapists perform therapies on several other clients in the dimly lit space and you would feel as if you are the only person there. Before therapy, you change into comfortable pajamas to facilitate application of massage oil. After the massage , they serve a bowl of fruits and ginger tea which feels so refreshing and therapeutic! Thai Massage is not messy and you don’t need a bath post the therapy. You can step out the way you stepped in albeit completely relaxed. Every Wednesday , there is a 1+1 offer . How exciting for a mid-week reward to your hard-working self! Its time to reward yourself guys, if you have never done so with a therapy at Sukho Thai! Treat your senses! Visit www.sukhothai.in for more information! There is a myriad of spa chemicals in the market which comprise various chemical compositions. The more popular choices of spa chemicals include chlorine and non-chlorine oxidisers.